Git commit messages – actually, any commit messages – are one of those things that I believe start off with the best of intentions. Sure, this is a bit facetious, but the point is that if you look at commit messages for a lot of projects, they start off far more detailed in the beginning than by the end of the project. I’m guilty of this, too. How, then, do we stick with good commit messages (and specifically, good Git commit messages, since so many open source developers use that service)? 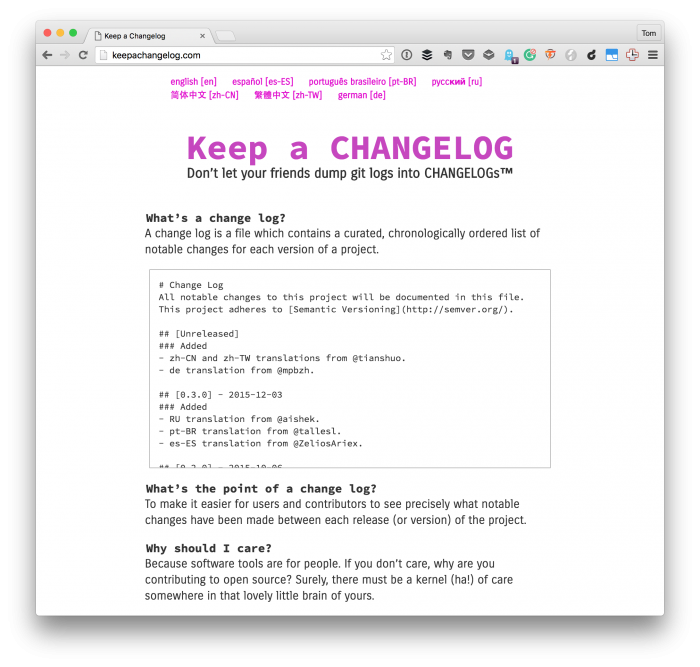 Not long ago, I shared a resource that @Rarst shared with me that provides some really good guidelines when keeping a changelog. There are some really good ideas and conventions that to adopt from that site. (And I’ve been using them for a recent client project.) But I’m not entirely sold on the idea that Git commit messages can’t be changelogs. But that idea is predicated on the idea that we can write good Git commit messages. And that’s where this site comes into the picture. If applied, this commit will your subject line here. Even if you don’t spend any time reviewing the site, at least consider adopting the convention mentioned above. It does help when writing meaningful messages. I think this convention is one any source control system can adopt, but it works especially well with Git because of how it bundles its changesets. At any rate, even if using Git commit messages is not a good idea for changelogs, it’s still something that makes sense to have good commit messages for changesets, project history, and so on. 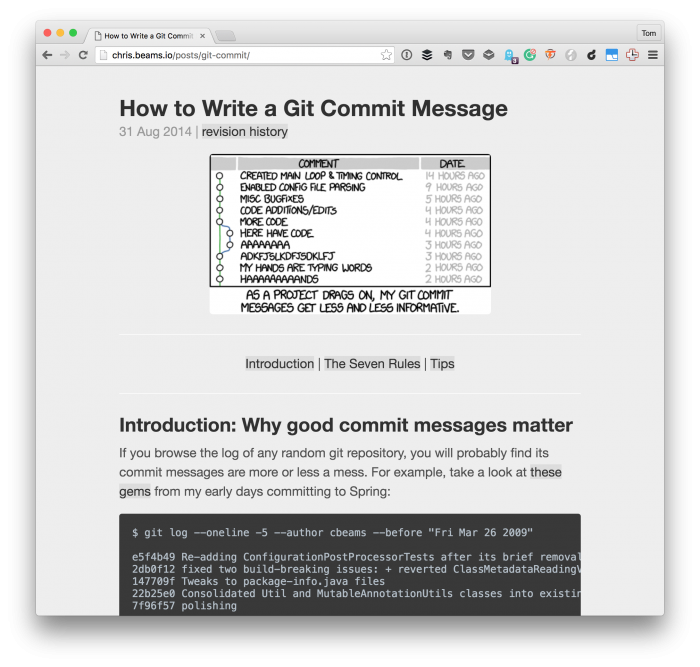 Commit messages are there to communicate the intent of this specific commit. Sometimes it’s specific and clear. Other times, well you did a bunch of stuff, waited too long, and then forgot what you did. Have some fun with it!